Impress people with the smart dog tricks your dog can do! Want your dog to balance items on his or her nose? Play dead? Sit pretty? With this dog training book, your dog will become an expert through clicker training. These dog tricks challenge your pooch through dog training to become smarter, become more obedient and bond with you! Want to use impressive dog tricks to connect with your pooch and wow your friends? Buy this dog training book today and start improving your dog's IQ right away! If you’d like to discover the basics of dog training, the pack leader's way, then keep reading! 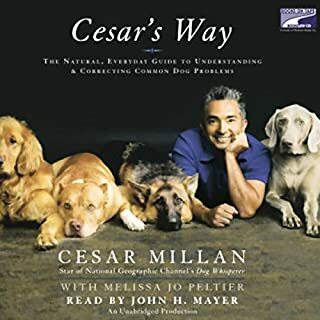 How to modify your dog’s behavior using Cesar´s “marks” and “no marks"
Be a pack leader, and click on the “buy now” button to instantly download your copy of Dog Training the Pack Leader's Way: The Cesar Millan/Karl Lorenz Revolution. Your dog will thank you for it! Love the techniques used in this audio book. Was able to teach my lab her first new command in just a few hours. We still have a lot of work to do with her, but I am very confident that between our lab's high level of intelligence, the positive reinforcement techniques to ward off unwanted behavior and consistency between all members of the family, our lab will reach her full potential! Since purchasing this book, we have put away the correction collar that we were struggling with. Positive reinforcement is definitely the way to go! First Time Dog owners must listen! Good information. I just need to follow it consistently. The audio book is easy to listen and understand. 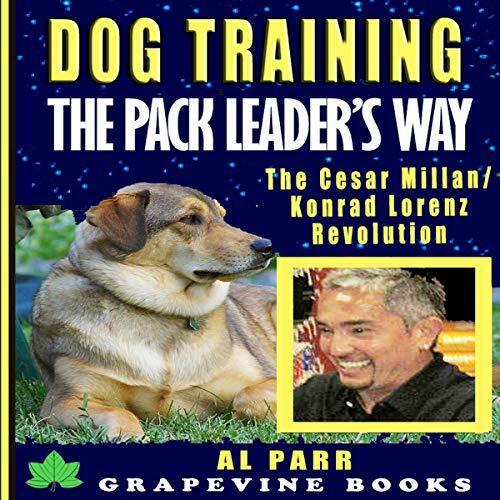 The author seems knowledgeable about dog behaviors and training methods. Amazing audiobook! A really easy listen and I love that he also explains why doing certain things are important along with giving an example story. We followed this book religiously from the day we got our pup and he turned out to be the best trained dog I've ever had. I highly recommend! 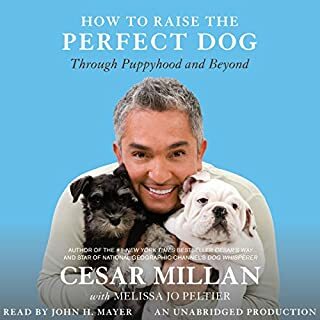 I listen this audiobook before I got my Shiba Inu puppy. He was 8 weeks old when I got him and immediately started using the techniques from the book. After 4 weeks he has "sit", "down", "stay" perfectly, and walks on a leash with reasonable ease. And he seems to understand what we are doing with this training thing. People are amazed that he can do so much at such a young age. I couldn't be happier. I have 3 dogs, and foster shelter dogs regularly. 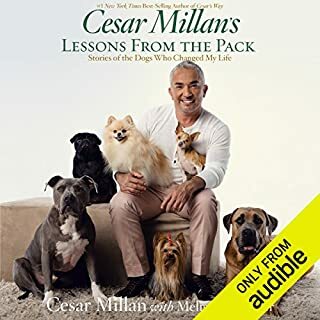 This is the best dog training audiobook I have ever come across. This is excellent for people with new puppies. There are some parts that help for people with older dogs. Worth listening. Wished I listen the book before getting my dogs. Retrained using her techniques went faster than traditional wats. Very informative book. Geared toward people with little to no dog experience.Thanks to author for that book! Have not finished the audiobook yet but very happy with his ideas and the details he gives in his philosophy and in his training. 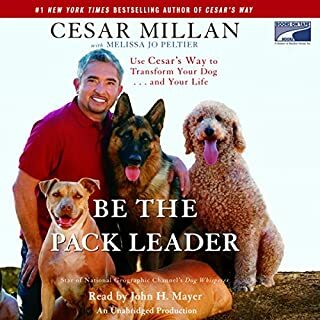 I think this is one of the best dog training books that I have ever listen. Very easy to follow along with clear instructions. 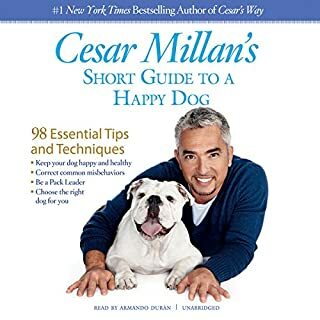 I've always believed in positive reinforcement training for all my dogs and although I'd read up on the subject a lot and attended many training classes, I still found this audiobook very helpful. It's wonderfully practical. My dog is already 18 months old and we were still able to use these techniques even though they are recommended for puppies. Really, f your passionate about your dog and committed to training, this is worth your while! Great audiobook! We have our puppy ringing the bell to go outside and many more things! The audiobook is full of helpful advice. I wish it there were bulleted steps of the training methods, not paragraphs to make reading the steps quicker. But that is more of a reflection of my own preferences regarding instructions. This a great training guide! I was having trouble training my older puppy who had spent most of his life in a shelter. With this program, I saw results pretty quickly! A great audiobook that was easy to listen with very clear, make scene instructions. I will definitely be following the 5 week training program with our new puppy. What I liked best was the use of positive reinforcement philosophy. 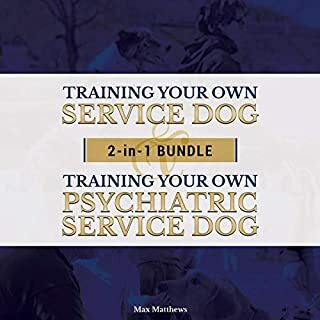 I highly recommend this book for those training puppies and as a reinforcement of good training techniques. Really good book. It was what I needed. Easy to understand. Well written.Thanks to author! Nice way to love & train your dog!